Will MCX's New Appointment Bring Good Fortune? With one of the largest financial derivatives-related fraud to take place in the modern era in South Asia under the insolvent NSEL, India’s technology-driven trading exchange, MCX, looks to the future as it selects a new leader. The exchange appointed Balasubramaniam Venkataramani as Managing Director and Chief Executive Officer, pending regulatory approval from arch rival, Bombay Stock Exchange. The move aims to fill in gaps and give the venue a new direction as it comes out of the shadows of the NSEL scam. During its peak, the MCX was considered by peers as the preferred trading venue for commodity derivatives in Asia’s second most populous nation. At one point the dominant player controlled over 85% of trading activity in core metals and energy commodity contracts, however in a u-turn of so-called unexpected events, the liquid venue started to crumble with the NSEL debacle. Trouble circulated within the Mumbai-based firm, and in a period of 24 months it underwent a complete makeover with shuffle after reshuffle at its board and C-level, with founder, Jignesh Shah, India also stepping down. The new CEO, pictured, is expected to turn a new leaf for the exchange, with the Chinese New Year in action, the year of the Goat/Ram could be the turning point for MCX. Mr. Venkataramani could be a good fit for MCX, having served at senior positions at banks and brokers, the ‘fintech’ professional having done more than just ‘sit on the fences’ in lush board rooms. Mr. Venkataramani, with all his experience, is a serial entrepreneur having established a technology firm, Marketplace Technologies and a broker-dealer, Basis Point, prior to joining the BSE. A strong common factor with MCX’s founder, Jignesh Shah. Indian financial markets are charged and ready to go, under the new government the marketplace has blossomed with the main benchmark index, SENSEX, rising to new highs, over the last year the index hit a low of 20,637 and spiked to a high of 29,844. 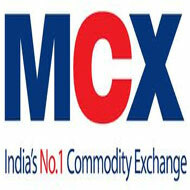 News of a new leader bumped MCX’s share price up by 5%, with the exchange currently trading at 972 INR. 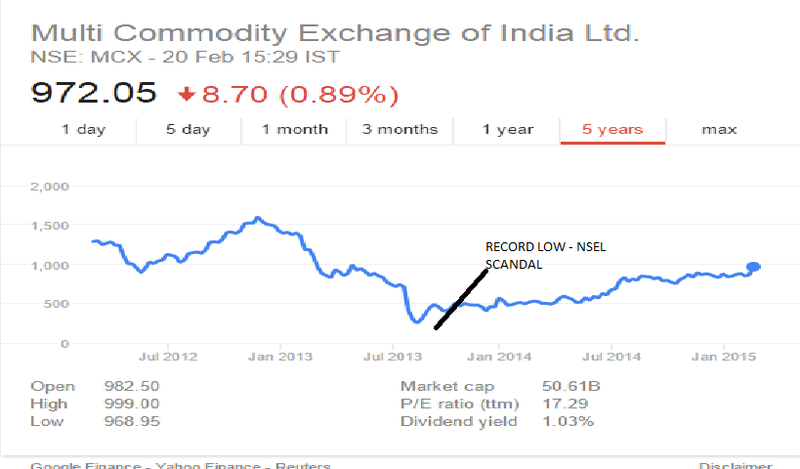 The exchange was affected by the NSEL scam which saw the share price stumble to record lows. Jignesh Shah, India’s e-trading godfather, resigned from the board of MCX in November 2013 where he held the position as non-executive vice chairman. He was replaced in February 2014 by Manoj Vaish, another former BSE executive, however Mr. Vaishi called it quits after three months and resigned in May last year, with the exchange being CEO-less since that period.